Okayama is located in the heart of Western Japan and is particularly blessed with fine weather. As the climate is very mild, this area has thriving agriculture, specializing in fruit products. Rich marine products are provided by the Seto Inland Sea. It produces various ingredients used to prepare local cuisine, such as Mamakari-Sushi, offering visitors a variety of attractive culinary delights. Okayama is also known for its educational history and cultural achievements. For example, Okayama Korakuen Garden, which is ranked as one of the three best landscape gardens in Japan, and the Shizutani School, the oldest school in Japan, built for common people by the Lord of Okayama in 1670. Come and enjoy Okayama's local culture and cuisine as well as science. 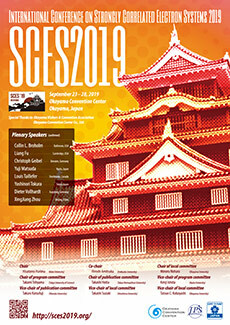 The conference will be held at Okayama Convention Center in Okayama, Japan. It is located only 3 min. walk from JR Okayama station or 30 min. away from Okayama Airport by bus. 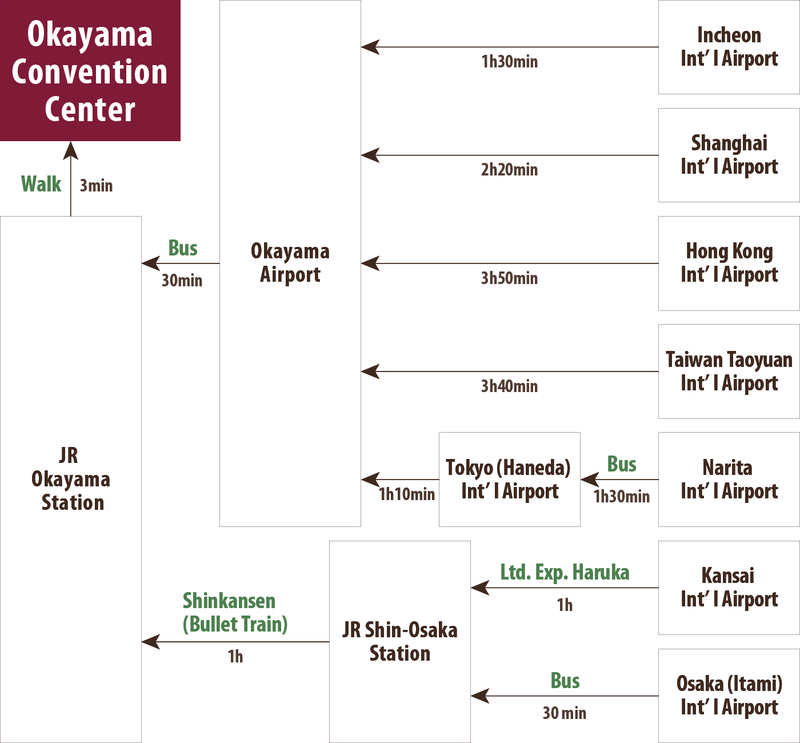 Okayama is 600 km to the west of Tokyo and is located between Osaka and Hiroshima. A large number of restaurants and bars are concentrated within a 20-min. walk to the venue, which makes possible to enjoy science even at off-site together with Okayama's local culture and cuisine. © International Conference on Strongly Correlated Electron Systems 2019.